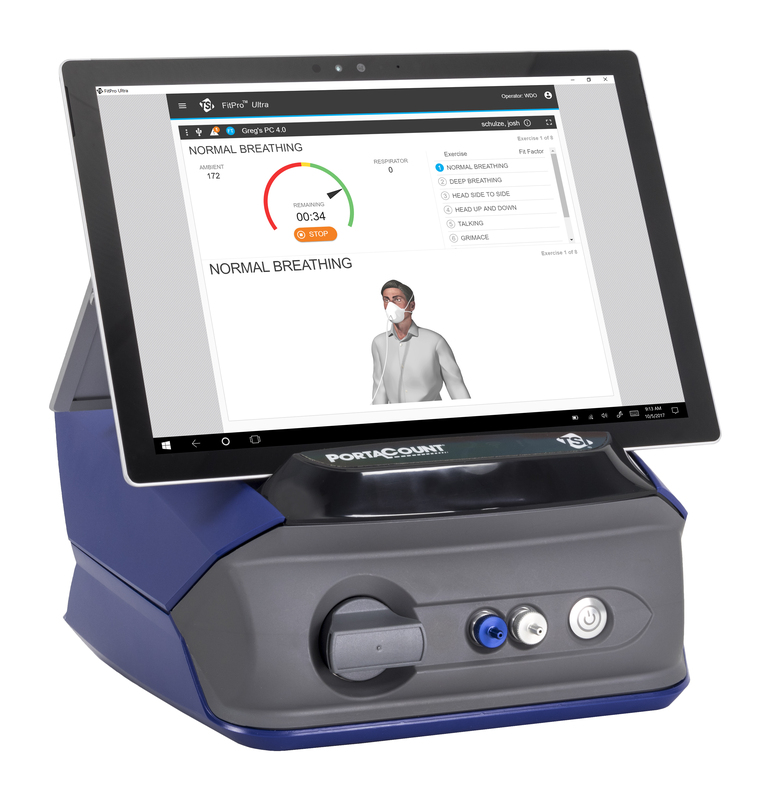 TSI Portacount Model 8040 and 8048 Respirator Fit Testers feature intelligent touchscreen solutions, supporting respiratory protection programs from training through to delivery. TSI has redesigned every aspect of the PortaCount Fit Tester’s FitPro™ Ultra software. An all new user interface and industry-first features combine to create the most powerful fit test instrument available. From touchscreen tablets to PC laptops, the software is easy to use and similar to applications on your own personal devices. New features like FitCheck™ Mode and animated fit test steps now help users to achieve a better fit for respirator wearers more quickly. FitCheck Mode shows in real time how respirator fit changes throughout donning and adjustment, helping users to select the right mask and identify the right fit more quickly. Video animations guide the wearer through the proper movements for each test exercise, providing a consistent fit testing experience. Choose the most trusted fit test instrument to increase your wearers’ safety, and improve your program’s efficiency and productivity. Includes: Carrying case, AC power supply with global plug adaptors, Alcohol supply (sixteen 30 ml bottles of 99.5% reagent grade isopropanol – enough for ~240 hours of operation), FitPro™ Ultra Software, Standard accessory kit (twin tubing, zero filters, spare wicks, alcohol fill capsule and cartridge, USB cable). Industry-first active animations guide the test subject through the fit test exercises to ensure greater compliance + Interactive troubleshooting guide. N95-Companion technology to allow Quantitative fit testing of FFP1 and FFP2 disposable respirators. Filtering Facepiece fit testing kit (probe insertion tool, probes, lock nuts, lanyard) .